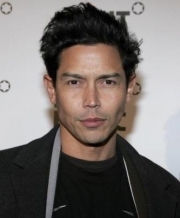 Anthony Michael Ruivivar is an American actor known for his portrayal of FDNY paramedic Carlos Nieto in the TV series Third Watch, and other law-enforcement roles in different TV series. Ruivivar's early appearances include the films Race the Sun and a minor character in Starship Troopers . Ruivivar's breakthrough role came in 1999 as Carlos Nieto, a paramedic in the action/drama series Third Watch (1999–2005), which centers around the life of Police Officers, Paramedics, and Firemen of a fictional Precinct and Fire Station in New York City. In the show, Carlos was a Hawaiian-Filipino who was abandoned by his family and spent his youth in various foster homes. Carlos started as a cocky rookie, often clashing with his superior. Sometimes, he would display a presumptuous and uncaring attitude towards his patients, and other times he would act as a comic relief. He was the only paramedic to stay as a major character for the 6 seasons of the show. After Third Watch, Ruivivar remained in the drama genre, usually playing a police officer, detective or FBI agent, in various TV series such as Traveler, Numb3rs, Criminal Minds, CSI: Crime Scene Investigation , and Lie to Me . In 2010, he continues his role in The Whole Truth as Alejo Salazar. Whole or part of the information contained in this card come from the Wikipedia article "Anthony Ruivivar", licensed under CC-BY-SA full list of contributors here.